Sea Haze was established in 1994, to compliment the fishing quarter. Originating from a longstanding fishing family, traced back to 1580. Along with fishing, they were also involved with the selling of fish, shellfish, pleasure tripping and the lifeboat. 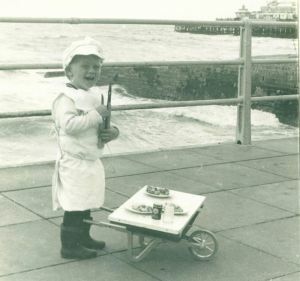 From the 1950’s Neil’s grandmother, Mrs. Humphries, started selling shellfish in the arches of Brighton Seafront. In the 1990’s, Carol Hayes, Mrs. Humphries daughter, was asked to set up a fresh fish shop, adjacent to one of the arches next to the fishing museum. This is when Sea Haze was born. A shellfish stall was also opened up opposite the shop on the beach. The produce of which came from her husband Alan Hayes and her nephew Neil’s fishing boats. In 2003, Neil put fishing aside to take over Sea Haze, continuing the family tradition of selling locally caught fresh fish. Later on in 2012 Jack, Neil’s son, started his apprenticeship in the shop after finishing school. 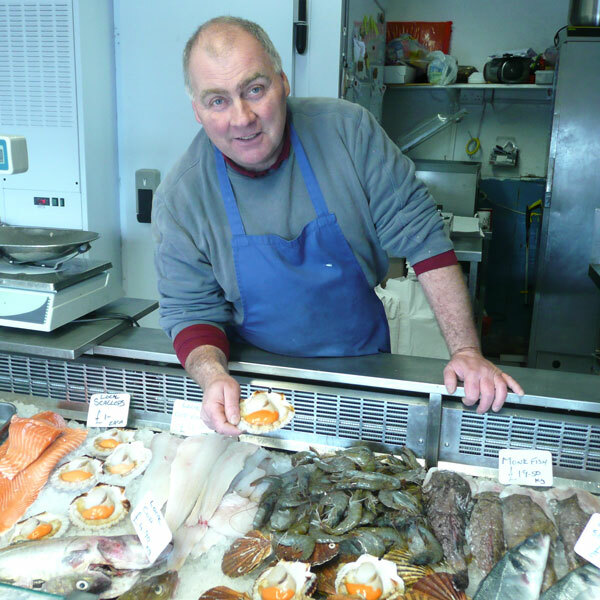 In 2014, now they’re working together, Neil has been able to go back to fishing, supplying the shop with the majority of its fresh fish.